Tsultrim Allione brings an eleventh-century Tibetan woman's practice to the West for the first time with FEEDING YOUR DEMONS, an accessible and effective approach for dealing with negative emotions, fears, illness, and self-defeating patterns. Allione-one of only a few female Buddhist leaders in this country and comparable in American religious life to Pema Chodron-bridges this ancient Eastern practice with today's Western psyche. She explains that if we fight our demons, they only grow stronger. But if we feed them, nurture them, we can free ourselves from the battle. 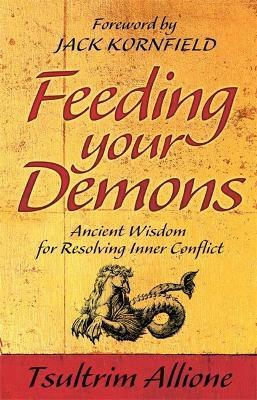 Through the clearly articulated practice outlined in FEEDING YOUR DEMONS, we can learn to overcome any obstacle and achieve freedom and inner peace.